Every network requires certain products to ensure it is kept secure and resilient. so you can relax knowing that the essentials are covered. 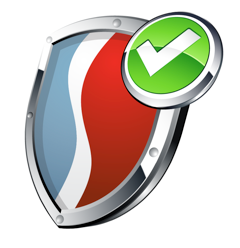 Regarded as an IT staple product, Syntax manage, monitor and protect your network from virus attacks. A secure Back-up and DR solution that is designed around your requirements. Worms, Trojan horses, Rootkits, Spyware, Keyloggers, Ransomware, Adware and so on… Managed Anti-Virus protects your business from any number of threats and gives you the peace of mind that a trusted IT partner is managing and monitoring this, so you don’t have to. Syntax provide a systematic approach to managing your business’ security needs and can work with you to ensure the correct level of security for your business is identified, implemented and managed ongoing. These areas can be identified during a site audit or for more complex security requirements, a security assessment or audit can be conducted. Mailminder is a corporate strength anti-spam and anti-virus solution developed by Syntax IT Services that identifies junk email, spam and viruses, preventing their delivery before they even reach your network. With Mailminder from Syntax IT Services, only genuine email is delivered to your network, immediately in real time. Mailminder provides true peace of mind and tangible savings for our customers. Mailminder employs a granular approach, meaning acceptable email settings are chosen by you. You also have access to quarantined emails i.e. the email that appears to be suspect spam and you can opt to release these emails from Mailminder direct to your mailbox. Entire domains (such as online auction sites) can be blocked completely, ensuring that your staff are focusing on your business. Implementing Mailminder is simple and inexpensive; all that’s required is for your email to be filtered by our secure servers. Mailminder requires no additional hardware or software to be installed on your network. Furthermore, it is managed and maintained by Syntax IT Services away from your network at the internet level. Ensuring you retain Domains annually is crucial. If a renewal is missed it can have serious consequence for your business and how customers access your website. Syntax offer Domain Management to ensure renewals are met and any technical changes are made. With the ever-evolving technology industry bringing new smarter and more productive mobile devices, presents the ever-evolving management and control over information. MDM gives businesses the freedom to adopt new technologies by allowing devices to be controlled in a similar way to traditional computing devices. DataShield is our comprehensive Back-up solution that can be scaled to suit businesses of all sizes and needs. Using DataShield, your Data, Exchange, SQL Database, Virtual machines etc. can be backed-up onsite, offsite, or both and uses state of the art 256 bit encryption before ever leaving your servers, providing a very secure solution. The capability to back-up Disk Images and perform Bare Metal restores means downtime is dramatically reduced. Recover your entire server in case of total failure and keep your business going. flexibility to back-up almost any environment through extensive plugin support. From full failure to fully operational within your recovery time objective. With DataShield, you can choose your own level of involvement right from a fully managed offering, for which you’ll receive monthly success reports for peace of mind, to more of your own internal involvement whereby you may decide your own back-up schedules and retentions. Syntax are here to understand and cater to your needs. Never again worry about losing your critical company data.